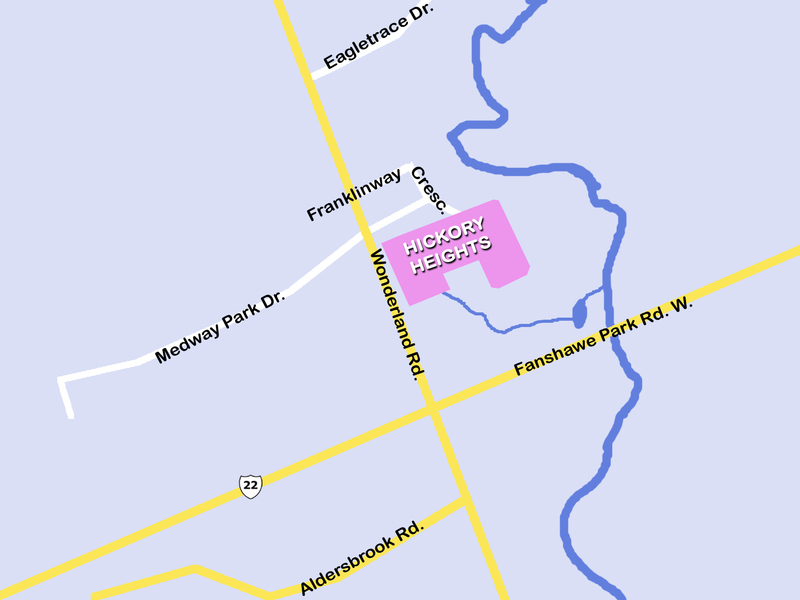 Drewlo Holdings newest subdivision, Hickory Heights, is located in scenic North London, just north of Fanshawe Road West off Wonderland. Slated to open in the next 30 days, Drewlo Holdings offers an enclave of 74 spacious lots, some of which back onto picturesque Medway Valley Heritage Forest. 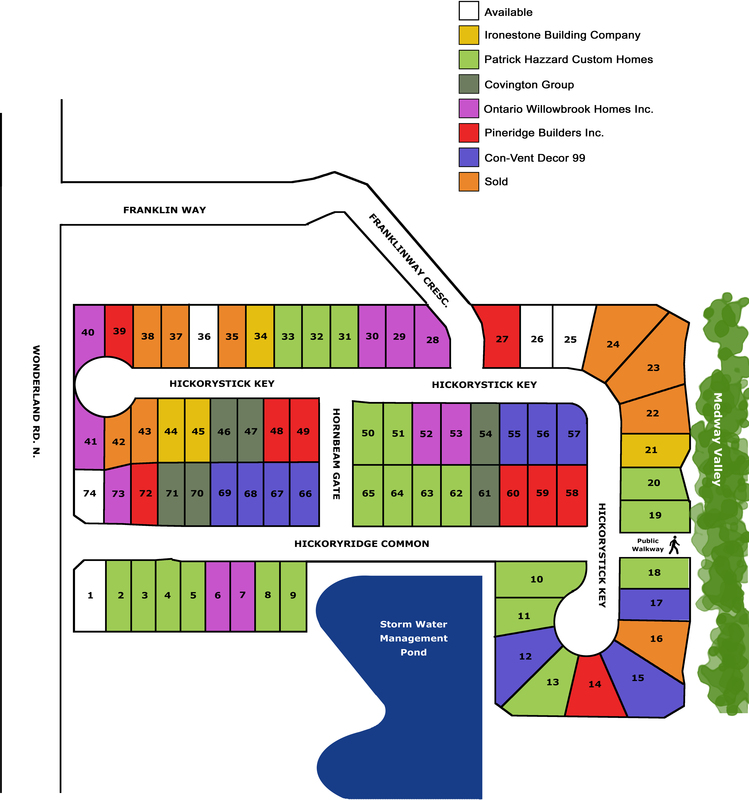 This new subdivision, nestled among existing state homes, is located close to Fanshawe Park/Wonderland mall, Fanshawe Park Outlet shopping and Masonville Mall.